M.D. Hiya! My name is Megan Duncan. I am a lifetime writer, first time published author. I love all things paranormal, sci-fi and fantasy. M.D. I do actually. I write best when I am not writing at a desk. I prefer to write with my laptop either on the couch or on my bed with my bedroom window open, so I can look outside. Funny thing is, I have a room all to myself for my writing but I rarely use it. A cherry slurpee always seems to do the trick as well, now if I can just buy my own slurpee machine I would be all set. M.D. Well, if you want to get technical, I knew I wanted to be a writer in the third grade. We had to write a story and make our own little books out of construction paper. I wrote a silly little story based on a dream I had. The teacher gave me an “A” and from that moment on I was in love with writing. M.D. 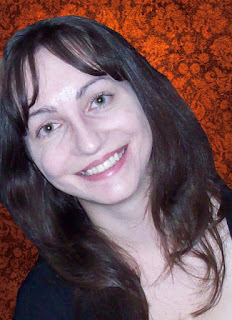 I write Young Adult fiction, mostly paranormal romance and fantasy. M.D. My favorite author is a tie between two actually. Anne McCaffrey and Terry Goodkind. They are both phenomenal authors who write stories about fantastical worlds. I started reading Anne McCaffrey’s novels at a young age and they made me fall in love with reading and love writing all the more. M.D. My family is super supportive. Without them I probably wouldn’t have had the courage or confidence to continue writing, especially my husband. He wouldn’t let me give up no matter what. M.D. What most certainly surprised me is something I have discovered most recently. Until about four months ago I have been writing privately, out of fear from past traditional publishing rejections and scams. I was shocked and excited to find an online community of other independent authors who have welcomed me with open arms and have been more than willing to share their seemingly endless supply of knowledge. I am eternally appreciative for all the lessons they have taught me and all the encouragement they have expressed. M.D. I think what inspires me most is quite a small thing. Just knowing that I have written something that someone enjoyed, even if it is one person, brings me so much joy. I read my first review just yesterday from a reader who wasn’t a friend or family member and they enjoyed my book. That made me so incredibly happy and proud that I jumped into writing more of my second novel after having hit a block that lasted a few days. M.D. Don’t ask me why, because I haven’t quite figured it out yet but I love apocalyptic books and movies. I saw that most popular books in that genre right now involve zombies, but I wanted to try and put a different twist on it by creating a demon apocalypse in my book Released. M.D. You can get a copy of my YA Paranormal Romance “Released” at Amazon, available as eBook or Paperback (which will be available in about 1 week) as well as at Barnes & Noble and Amazon UK in eBook format. You can also read my book if you don’t have an eReading device by simply downloading Kindle for PC for free on Amazon. M.D. I think the best advice I can give is to never give up. If writing is your dream and passion don’t let anyone tell you that you can’t do it. My motto is: "Success is not final, failure is not fatal, it is the courage to continue that counts"